I decided to pull myself from my sort of impromptu blogging hiatus (again) to tell you all that I think cafe curtains are having a moment. For those of you who shudder at the phrase 'cafe curtain' and swear that I've jumped the shark, let me show you what I mean when I think of 'cafe curtains'. Easy, breezy...the perfect balance of privacy and exposure. A nod to days gone by. Whether printed or sheer, in a bathroom, kitchen or living room, a modern application of the cafe curtain is unfussy, relaxed and affordable. 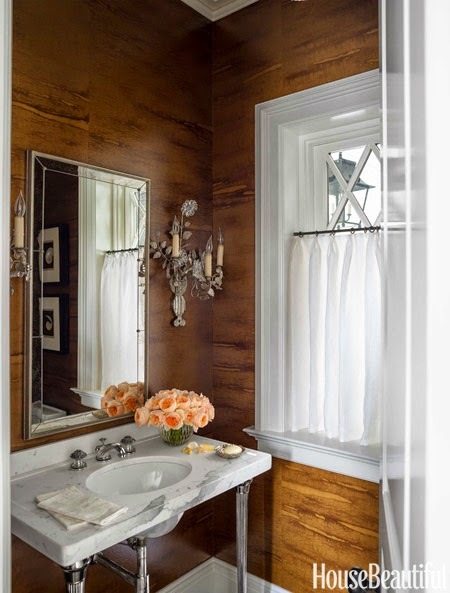 I have cafe curtains, sheer gauzy white cotton options, in a few of our bathrooms and love how they filter light while also providing privacy. I recently made a few pairs for my home (more on that soon), but they're also incredibly easy to make by repurposing antique dishtowels or other linens. No sewing involved, either! Do you have any cafe curtains in your home? Would you consider it? 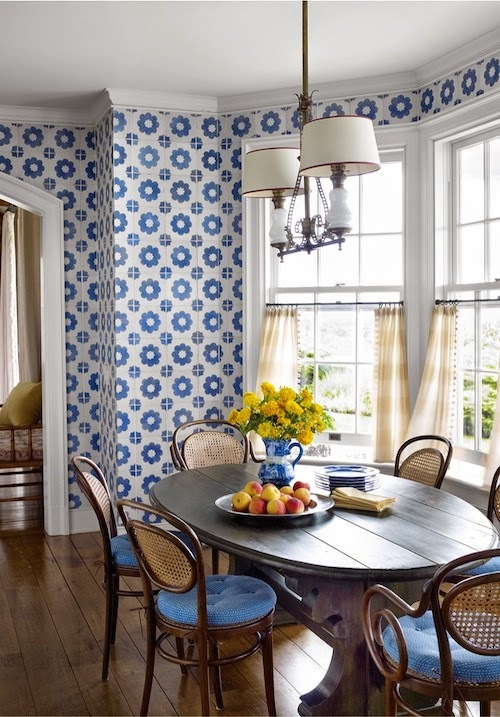 I like cafe' curtains and these pictures depict just how nice they look in a variety of rooms. Anxious to see yours. I haven't thought a thing of them but I really like your inspiration pictures. Can't wait to see yours. I had this thought just about a week ago. Great minds think a like! I love the look. Although, I don't think they'd work in my style home (spanish style). Can't wait to see what you've done!! You know what? I've starting watching Gilmore Girls on Netflix. And I tell you, every single time they shoot a scene in Luke's Cafe, I cannot take my eyes off of the checked cafe curtains on the brass rods. Love them! !